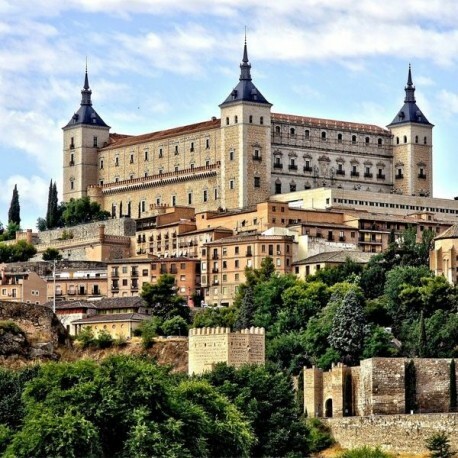 TOLEDO, city – a treasure house of great artistic beauty, former capital of the country and one of the oldest cities in Europe. 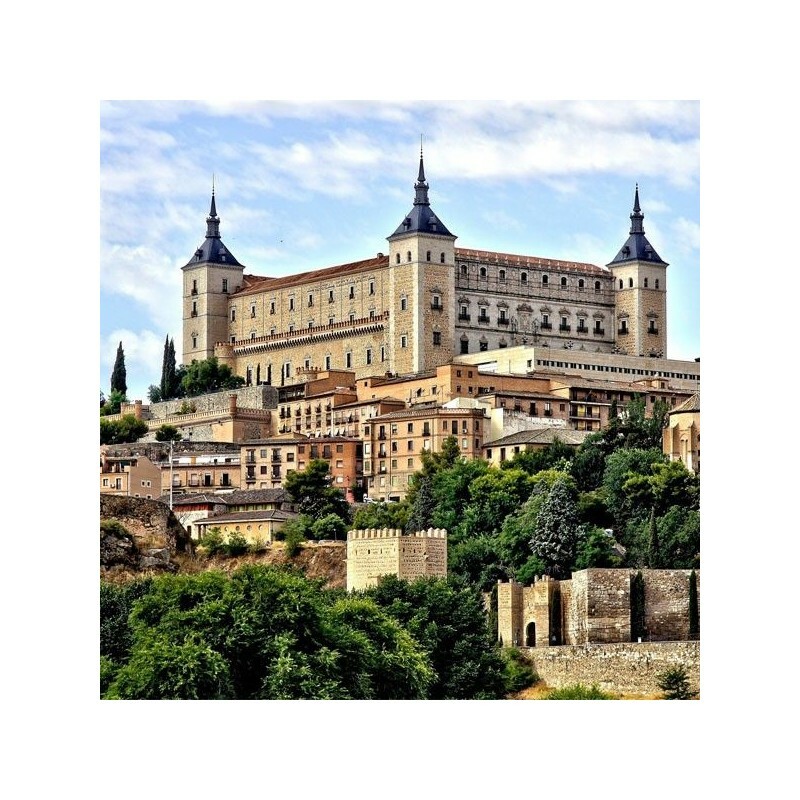 TOLEDO, city – a treasure house of great artistic beauty, former capital of the country and one of the oldest cities in Europe. Toledo offers magnificent examples of architecture from different periods – Arab, Jewish and Catholic – making it one of Spain’s most important historic cities and a UNESCO WORLD HERITAGE SITE. PANORAMIC TOUR and walk through the city to admire the streets and many sights: CATHEDRAL EXTERIOR, SANTO TOMÉ CHURCH (The Burial of the Count of Orgaz, one of El Greco’s masterpieces), SANTA MARÍA LA BLANCA SYNAGOGUE, SAN JUAN DE LOS REYES CHURCH and VICTORIO MACHO MUSEUM. 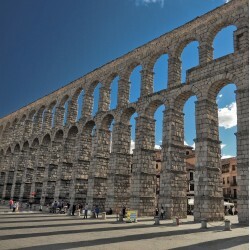 (At the museum, visitors first see what appears to be a theatre, but thanks to the latest technology, they are soon immersed in a hyperrealist environment, presenting the city of Toledo and its history). You will also see works made using the famous damascene technique (precious metals inlaid in steel), part of the city’s rich artisanal tradition. The tour concludes back at PLAZA DE ORIENTE.